“The Palestinian Authority has recently been making great efforts to strengthen its presence in eastern Jerusalem in sophisticated ways." 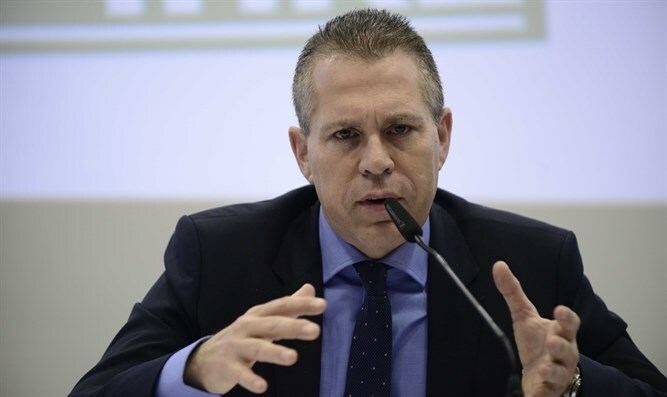 Minister of Public Security Gilad Erdan signed Thursday morning an extension of the order preventing the activity of the Palestinian Authority in eastern Jerusalem, after adopting the recommendations of the Shin Bet and the Israel Police on the matter. The order limits the activities of the “Orient House,” a building in eastern Jerusalem that served as the de-facto headquarters of the PLO in the 1980s and 1990s . It also limits the operations of the “East Jerusalem Chamber of Commerce,” the “Supreme Council for the Arab Tourism Industry,” the “Center for Palestinian Studies,” the “Palestinian Prisoner Club” and the “Ministry for Social and Statistical Studies,” due to their affiliation with the Palestinian Authority. The order prevents organizations from carrying out any activities on behalf of the PA in eastern Jerusalem, in accordance with section 3 (a) of the Implementation of the Israeli-Palestinian Interim Agreement on the West Bank and the Gaza Strip of 1994, which prohibits the PA from opening or operating a representative office, or holding a meeting or activity, within the boundaries of the State of Israel, and authorizes the Minister of Public Security to order the prohibition of such activity.